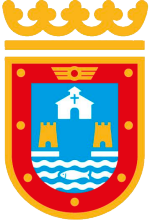 The Pedanía of Santiago de la Ribera is part of the municipality of San Javier and is the mainland coastal area of the municipality within which much of the tourism activity of the area is focused. 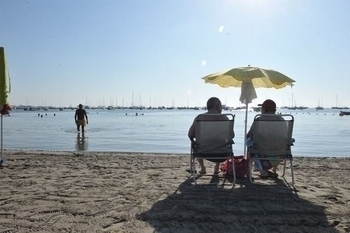 Its urban nucleus is 3 kilometres from San Javier town centre, and the pedanía has 4 km of beaches on the Mar Menor which make it a popular destination for tourists from other parts of Spain and the rest of Europe. San Javier has two distinct areas of beaches and tourism activity, one part being this area of the mainland, close to the town of San Javier, and the other section, La Manga del Mar Menor, which is out on what's commonly known as the La Manga strip, the long strip of land which forms the Mediterranean coastline separating the Mediterranean and enclosing the Mar Menor. The two areas are separated by the waters of the Mar Menor and are connected by a water ferry across from one side of the Mar Menor to the other. 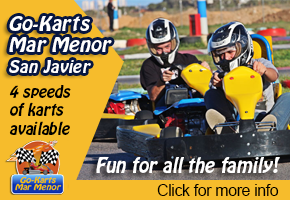 The only other alternative is a long drive around the outside of the Mar Menor. 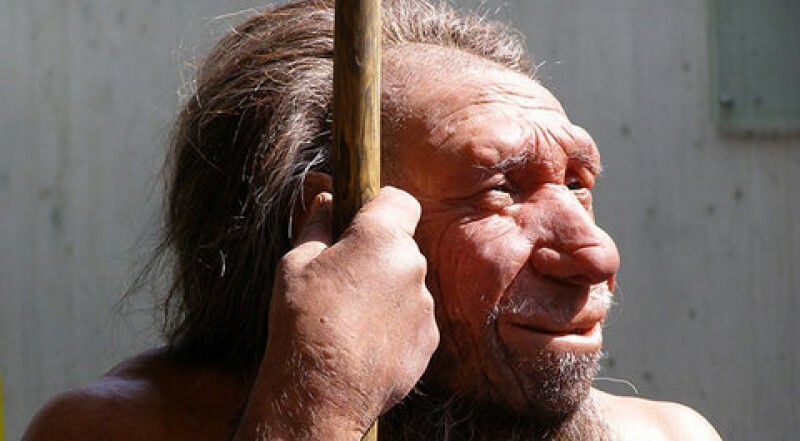 Although there is evidence of prehistoric activity, there is little to indicate permanent settlement in the modern day municipality of San Javier, the most likely scenario being that groups of hunter-gatherers travelled between the highest land points of the area harvesting molluscs and seafood. Tantalising evidence in the Cueva Victoria in El Beal points to the existence of an early pre hominid, Theropitecus Oswaldis in the area, 2.5 million years ago and later on Neanderthals are known to have inhabited the Cabezo Gordo in Torre Pacheco, looking out across to the Mar Menor. The Mar Menor itself included an important trading settlement during the period of 500-700 BC, when the Greeks and Phoenicians were regular visitors to San Pedro del Pinatar, which was an important centre of trading activity between cultures. Following the invasion of the Romans in 209BC, the Mar Menor assumed an important role, as the Romans took advantage of the natural resources, building saltpans, the modern day salinas, and developing the area for agriculture. This whole area which includes Santiago de la Ribera, was part of the south-eastern region of the Iberian peninsula (Spain) known by the Romans as Contestania. At this time, Santiago de la Ribera would have been a large area of swampland on the edge of a saltwater lagoon which was a rich fishing ground, the land inhabited only by rabbits and other hunting prey. The natural vegetation included esparto grass, itself a valuable export crop which could be used to make shoes, rope and baskets, “albardín” and salsola, while a little further inland there was plenty of opportunity to clear forested areas, harvesting the wood, to grow cereal crops, olives and grapes. 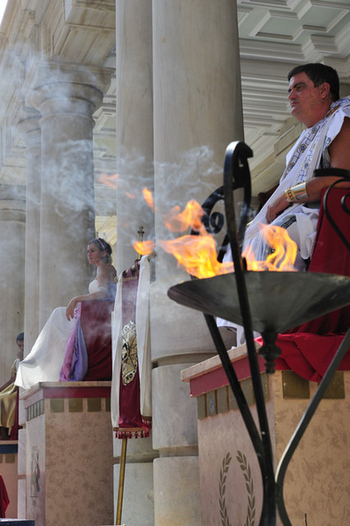 It is probable that during the rule of the Roman Empire there were soldiers in the area, who would have been in charge of exploiting the land for agriculture and defending against possible attacks. These military colonists introduced certain advances in agricultural techniques, improving the plots of land and clearing the area, as well as introducing rudimentary drainage systems in order to reduce the high salinity of the water and the subsoil. There are remains of several sizeable Roman villas around the Mar Menor. By the time of the invasion of the Moors in 713, the area had been practically abandoned, as the new inhabitants preferred to establish themselves further inland and in the Segura valley. The countryside around Santiago de la Ribera was dotted with watchtowers, and there were also a few buildings whose purpose was to provide leisure and rest. This was certainly the case in the municipalityof Los Alcázares, where the Moors built palaces in order to take advantage of the baths left by the Romans, but there is very little evidence of direct habitation in San Javier. After the Christian Reconquest of the Kingdom of Murcia, in 1243, Alfonso X El Sabio attempted to encourage the repopulation of the area by offering incentives to families from Castile and Aragon, and in this initiative he was fairly successful. All along the shore of the Mar Menor farmhouses grew up, and neighbours grouped together in various communities. This tranquility was interrupted in the 16th and 17th centuries by the onset of the pirate raids from the north of Africa, and fear became a part of the daily lives of the fishermen and farmworkers who made their living through hard work on the boats and farms of the area. As it became necessary to protect the coast, there was a proliferation of armed watchtowers and fortresses all along the shore. The population lived in a state of constant readiness to seek refuge in these towers, and the population of the area was once again reduced. Some historians maintain that the roots of the current tourist resort of Santiago de la Ribera can be found in the area known as “Cala-Vera” (which later became Calavera). Here there was a small church dedicated to St John the Baptist, which was re-dedicated to San Blas when the Trinitarian monks took it over in the 16th century. The area then became known as San Blas, and is now a built-up part of the centre of Santiago de la Ribera. The area is still important today, as the destination of the Romería of San Blas, celebrated each spring, which culminates in the modern day hermitage on the site. However, the Torre Mínguez farm estate is officially recognised as the origin of the pedanía of Santiago de la Ribera. It was built by Antonio Lisón, a governor of the city of Murcia, and was passed down through various generations of his family. One of those to inherit it was Teresa Sandoval y Mena, who married José María Barnuevo y Rodrigo de Villamayor de Ulloa, a dignitary in the Order of Santiago. The couple made frequent visits to the Torre Mínguez, and had ambitious plans for it: firstly, they wanted to turn it into a hotel, and secondly, they intended to sub-divide the land and enable tenants to build a family home on each of the resulting plots. 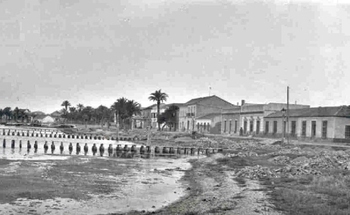 Out of these plans grew the new settlement of Santiago de la Ribera in 1888, the name being derived from José María Barnuevo’s affiliation to the Order of Santiago. The first stages of the urbanization of Santiago de la Ribera were closely overseen by the Barnuevo-Sandoval family. Their aim was not to create a large community immediately, but to rationalize the way in which the locality might expand in the future, laying down the basic guidelines for future urban development. Many families from Murcia were attracted by the facilities offered by the family, as well as the privileged location, the climatic conditions and the easy access to existing communications networks, and numerous holiday homes were built by the upper classes of Murcia, turning Santiago into a thriving resort. At the start of the 20th century, the plan to build a hotel came to fruition, and next to it the church of Santiago Apóstol was built. Originally the church was independent, but it now comes into the diocese of Cartagena. The development of Santiago de la Ribera was now unstoppable. In 1929 work began on the construction of the Navy’s air base on land acquired from the Barnuevo family, and in 1943 the Academia General del Aire was founded. In 1968 this pilot training airfield was opened to civil aircraft and passengers, and since then the facilities have been shared by Aena and the military, the modern day San Javier airport. Nowadays Santiago de la Ribera is one of the most popular and prosperous tourist resorts on the Costa Cálida, and its population grows by 300% during the summer months. Visitors will find a full range of facilities, with plenty of hotels, restaurants, shops and bars, and the residential streets behind the front line beaches are populated with established holiday properties and residential dwellings, the whole area maintaining an essentially Spanish holiday resort ambience. Whilst the tourism market was founded on the visitors from Murcia, Madrid and Barcelona, the area now attracts a good volume of International tourists and is popular with European visitors, there being a good population of both British and Germans throughout the year. The 4km of sandy beaches are accented by a particular interest in sailing and there are many opportunities to both learn, or practice watersports from the Santiago de la Ribera beaches. 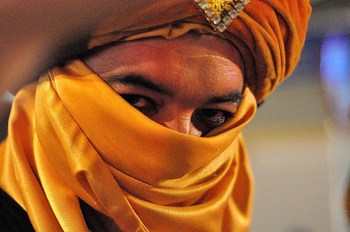 The Romería of San Blas takes place every year on the 3rd February. 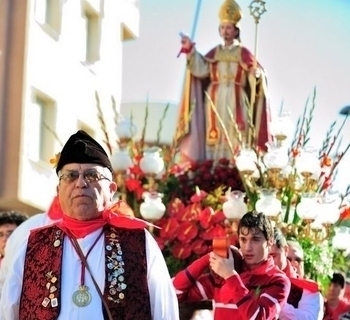 Although this event has its roots in the 16th century, this Romería only began in 1980. Each year the figure of San Blas is carried from Santiago de la Ribera to the hermitage of San Blas, accompanied by thousands of the faithful, the crowd swelling en-route. Upon arrival at the hermitage, the participants enjoy a day of music and picnicking, sharing the company of family friends. 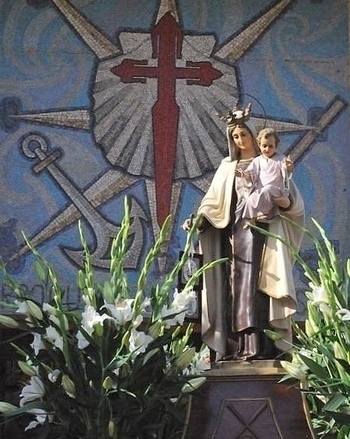 These are held on the 16th July, the day of the Virgen del Carmen, protector of the fishermen. 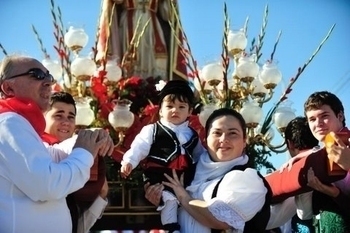 In these Fiestas the Virgen is carried out to sea by the fishermen in a Marine Romería, an occasion which also includes a short parade on land. Fiestas patronales de Santiago Apostól. Santiago de la Ribera was named after Saint Santiago ( Saint James.) so the main Fiestas Patronales are in his honour. 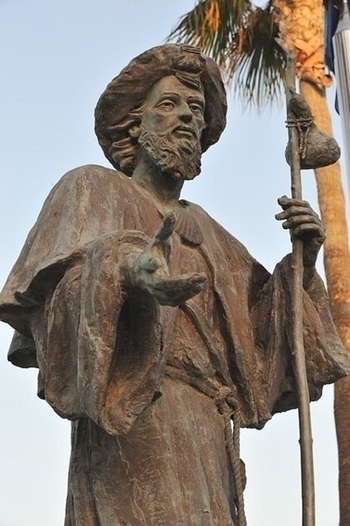 Saint James is said to have landed in Cartagena, spreading the word of Christ throughout Spain, and there are statues of him in both Cartagena harbour and Santiago de la Ribera, in front of the Explanada Barnuevo, which is where most of the celebrations take place. 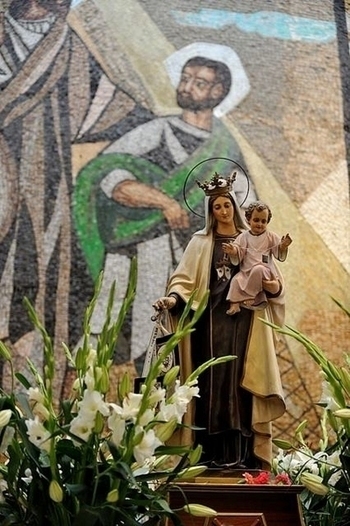 The 25th July is the Saint´s day and the Fiestas Patronales all take part around this day, with an ample programe of activities and entertainments. Santiago de la Ribera is rapidly establishing it´s Carnival as being the Carnival of the Mar Menor, and each year the number of floats and groups coming from across the region to participate increases. The main parades of Carnaval week take place 40 days before Easter Sunday. Where is Santiago de la Ribera? Click for map, Santiago de la Ribera, San Javier.